When Karen first came to see us to create her Wedding Flowers, she knew she wanted a dusky pink theme for her Wedding at the sumptuous 5 star Rockliffe Hall North Yorkshire and she fell in love with our fabulous Multi Arm Tablestand centrepieces for her tables. 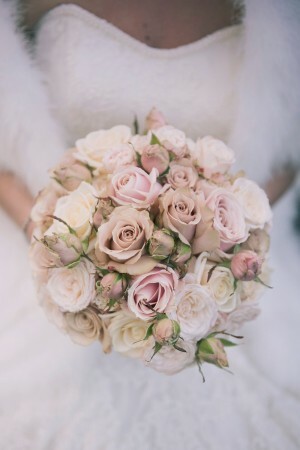 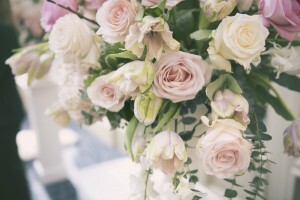 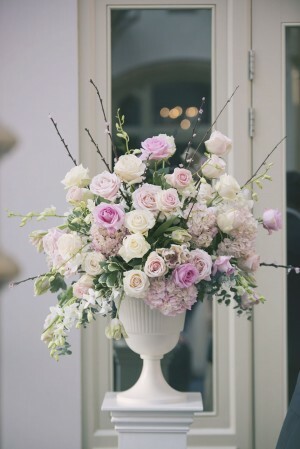 Her beautiful Bouquet and the rest of the Bridal flowers were created from a gorgeous mix of Quicksand, Bombastic and Sweet Avalanche roses from Meijer Roses and the ceremony flowers, including two matching Urns & a signing table design, had Hydrangeas & Tulips in them to compliment the roses. 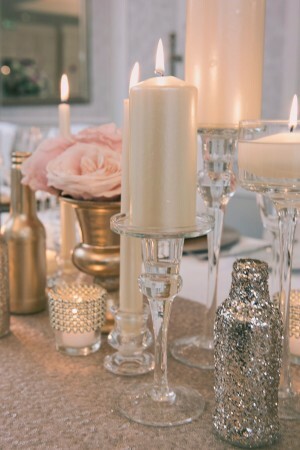 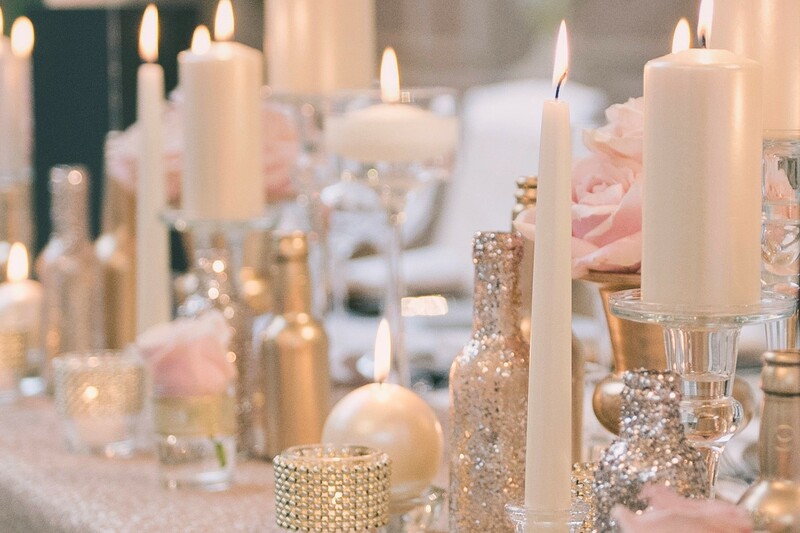 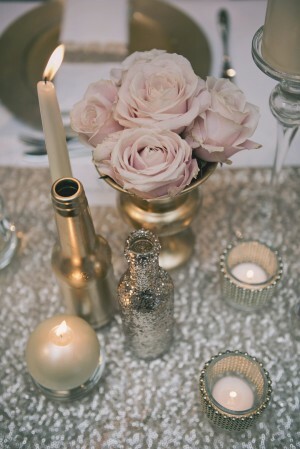 Karen wanted lots of candlelight, so we dressed the sequin draped top table entirely with champagne and ivory coloured candles in various heights and shapes, added gold & glitter bottles for extra sparkle and a few small gold urns bursting with Sweet Avalanche roses. 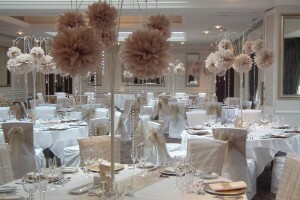 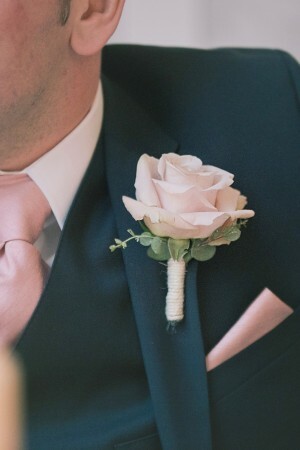 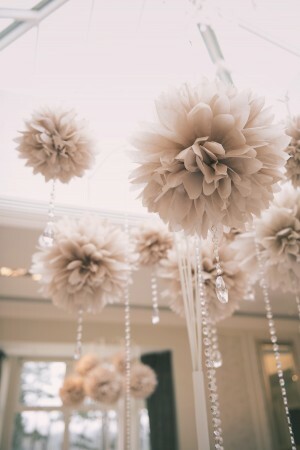 We decided that the dusky pink Pom Poms, although gorgeous, would be a little too pink for the overall look, so we plumped for the champagne sparkle, and once we had added our crystal droplets and garlands they looked spectacular in the room. 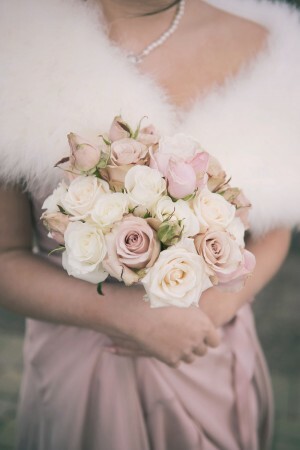 Our good friend Abi at Wooden Hill Images captured the day beautifully, as always, with stunning images and Amanda at Homebaked Heaven created the wonderful cake.